A.M. No. 92-701 November 8, 1993 - OFFICE OF THE COURT ADMINISTRATOR v. LEANDRO ANQUILO, JR.
G.R. No. 96779 November 10, 1993 - PINES CITY EDUCATIONAL CENTER, ET AL. 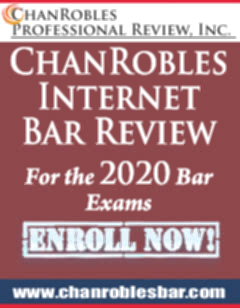 v. NATIONAL LABOR RELATIONS COMMISSION, ET AL. G.R. No. 104269 November 11, 1993 - DEPARTMENT OF AGRICULTURE v. NATIONAL LABOR RELATIONS COMMISSION, ET AL. G.R. No. 105371 November 11, 1993 - PHILIPPINE JUDGES ASSOCIATION, ET AL. v. PETE PRADO, ET AL. G.R. No. 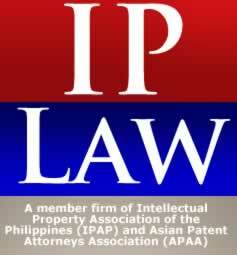 105387 November 11, 1993 - JOHANNES SCHUBACK & SONS PHILIPPINE TRADING CORPORATION v. COURT OF APPEALS, ET AL. G.R. No. 105461 November 11, 1993 - MARLYN LAZARO v. COURT OF APPEALS, ET AL. G.R. No. 109455 November 11, 1993 - RAUL A. GALAROSA v. EUDARLIO B. VALENCIA, ET AL. G.R. No. 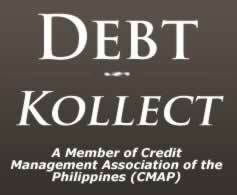 110068 November 11, 1993 - PHILIPPINE DUPLICATORS, INC. v. NATIONAL LABOR RELATIONS COMMISSION, ET AL. A.M. No. P-92-736 November 16, 1993 - VENUS TIDALGO FERRER v. DEMETRIO G. GAPASIN, SR.
G.R. No. 87555 November 16, 1993 - PEOPLE OF THE PHIL. v. VICENTE D. DEUNA, ET AL. G.R. No. 104209 November 16, 1993 - PHILNABANK EMPLOYEES ASSOCIATION, ET AL. v. JESUS P. ESTANISLAO, ET AL. G.R. No. 106446 November 16, 1993 - NATIONAL MINES AND ALLIED WORKERS UNION v. SECRETARY OF LABOR, ET AL. G.R. No. 106830 November 16, 1993 - R. TRANSPORT CORPORATION v. BIENVENIDO E. LAGUESMA, ET AL. G.R. No. 97962 November 17, 1993 - PEOPLE OF THE PHIL v. SALVADOR BALIGOD, ET AL. G.R. No. 56122 November 18, 1993 - RENE KNECHT v. COURT OF APPEALS, ET AL. G.R. No. 104235 November 18, 1993 - ZALAMEA v. COURT OF APPEALS, ET AL. G.R. No. 106251 November 19, 1993 - CHIAO LIONG TAN v. COURT OF APPEALS, ET AL. G.R. Nos. 105000-01 November 22, 1993 - PEOPLE OF THE PHIL. v. JOSE MONDA, JR.
G.R. No. 104596 November 23, 1993 - PEOPLE OF THE PHIL. v. ROGELIO ESPINOZA, ET AL. G.R. No. 106813 November 25, 1993 - UBAY ARRASTRE v. CRESCENCIANO B. TRAJANO, ET AL.